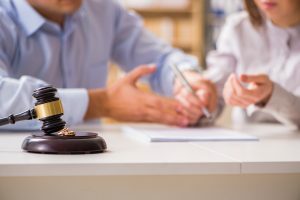 When a husband and wife have made several attempts to resolve the troubles in their marriage without success, many begin thinking about contacting a divorce attorney. Under traditional no-fault divorce laws, you can file for divorce for any reason and you do not have to place blame or prove responsibility to have your marriage legally ended. For those couples who are unhappy within a covenant marriage, however, it can be much more challenging to file for divorce. 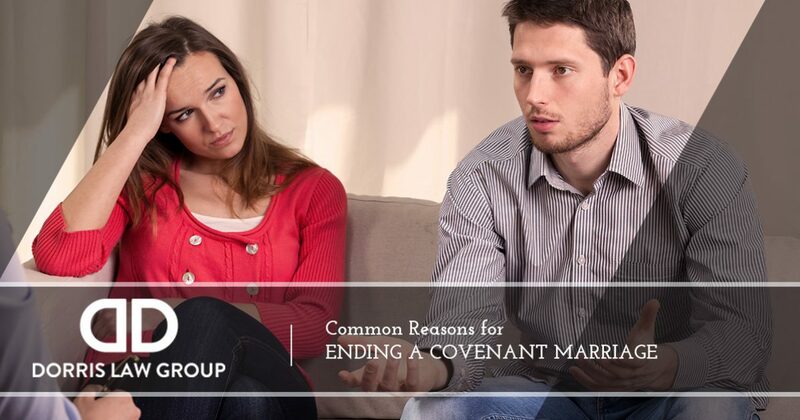 In today’s post, we’ll review the basics of how a covenant marriage differs from a traditional marriage, the accepted grounds for divorce within this type of marriage, and what you can do if you are unhappy in your covenant marriage. Do you need trusted legal advice from a divorce attorney in Tucson? If so, The Dorris Law Group is here to help. We will gladly schedule a free divorce consultation for you so that we can confidentially discuss the details of your situation and review what options are available to you. Call our team at 520-622-4866 today to get started. Including Arizona, there are three states in the U.S. that recognize a distinct kind of marriage known as a covenant marriage. In covenant marriages, both spouses agree to premarital counseling that focuses on the nature, purpose, and responsibilities of marriage. Many who enter into these types of marriages sign contracts stating their lifelong devotion to their partner, and unlike couples who subscribe to no-fault divorce laws, couples in covenant marriages agree that there are fewer acceptable grounds for seeking a divorce. Adultery. The responding spouse has been unfaithful to the marriage. Imprisonment. The responding spouse has been imprisoned or sentenced to death for committing a felony. Abandonment. The respondent spouse has abandoned the matrimonial domicile for at least a year. Abuse. The spouse, children, or relatives of either spouse suffered physical, emotional, or sexual abuse at the hands of the respondent spouse, or there is confirmed domestic violence. Living apart. Spouses have been living apart from one another for at least two years without reconciliation. Drug and alcohol abuse. The respondent spouse has a habitual drug or alcohol problem. Mutual consent. Both spouses mutually agree to a divorce. If you are unhappy in your covenant marriage, it is wise to request a free divorce consultation from a qualified divorce attorney. The divorce laws that pertain to covenant marriages are very different from the no-fault laws that apply to traditional unions. Whether you are bound by the Arizona no-fault laws in a traditional marriage, or you must abide by the laws that a covenant marriage is subject to, The Dorris Law Group is here for you in your time of need. We have helped countless Tucson-area couples explore their options when it comes to legal separation and divorce, and we can help you too. Contact our team today to schedule a free divorce consultation.